The homeowner is “something of an aficionado on Victorian design,” says residential designer Paul Knutson. “On my first visit to their home, I was struck by her sizeable collection of periodicals and books on the subject. Clearly she'd been planning this porch renovation for some time and had a huge lead on me. Thankfully I found your company." 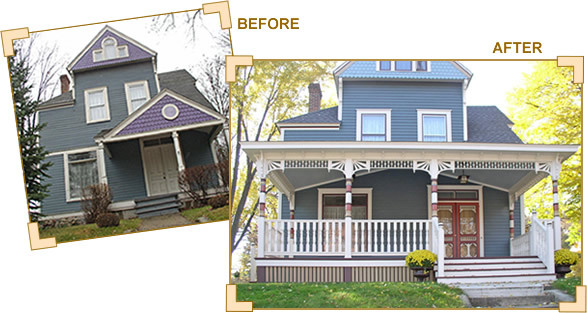 "Our clients wanted an authentic Victorian 'gingerbread' porch on their home and they wanted it to look as though it had always been there. That's exactly what we gave them and they love it." We'd love to hear from you, so please send us your feedback &/or photos! 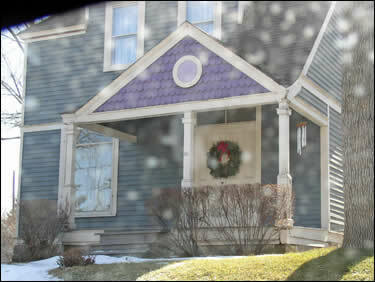 "Using your porch books [now available as an Online Porch Guide] I was able to provide just what she was looking for. 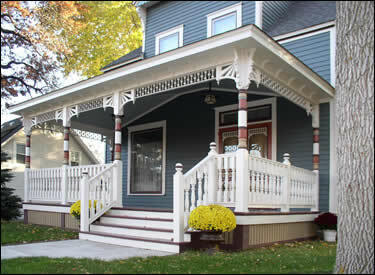 I've gotten many positive comments from people who've seen the porch in person and on my website. I always credit your company with providing me the materials and knowledge that made this transformation possible. Thank you for your help. You made me look good." Well, Paul, you make us look good too! You and the builders, Ben Quie and Sons, did an excellent job!